Relax your body and your soul! In some cultures, the health benefits of therapeutic massage have been used to balance both the mind and body for centuries. Modern-day massage therapy is finally catching the rest of us up with this old-world, natural approach to improved health. When properly administered, massage addresses a myriad of problems. It releases chronic muscular tension and pain; increases circulation, mental clarity and joint flexibility; reduces mental and physical fatigue; improves muscle and skin tone; and ultimately strengthens the immune system. Through personalized therapeutic massage, many of our patients have experienced long-term improvement for conditions such as anxiety, headaches and insomnia. We have treated fibromyalgia, arthritis/joint pain, soft tissue injuries/pain, and digestive disorders with astonishing results. Anyone suffering with automobile, work or sports related injuries should call us to discuss a treatment program. You will not be disappointed. We are a drug-free alternative for many chronic conditions and will work to enhance conventional medical treatments. At Premier Massage, we will adapt our techniques to your personal needs and help you discover lasting relief whatever your situation. With this massage, we reach the deepest layers of the muscles, connective tissue (fascia), and tendons, breaking down adhesions (which cause pain, inflammation, and limited motion in the joints and muscles). Call us today. We use long, fluid strokes, circular movements, and kneading on the upper layers of muscle and tissue, with pressure that varies from medium to firm according to your preference. Make an appointment today! Here, we use a technique similar to Swedish massage, but we add heated stones, which leads to deep, satisfying relaxation. Call 507.929.1400 to make an appointment! This is a favorite among many at Premier Massage! A fully customized treatment designed to your unique needs, concerns, and time. 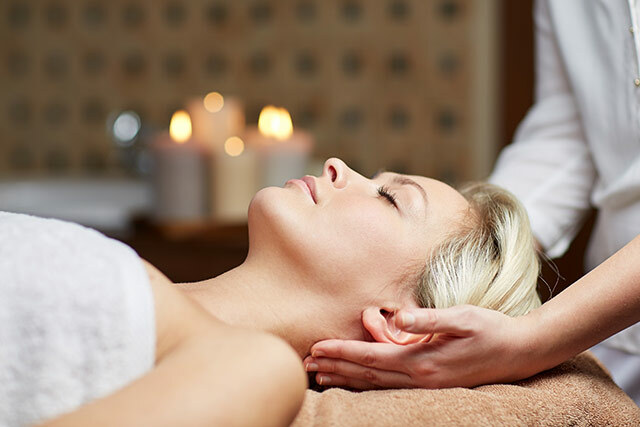 Premier Signature integrates massage modalities such as: Swedish, Deep Tissue, Trigger Point therapy, Myofascial Release, Reflexology, and more. This is an ultimate therapeutic experience to ensure results of your specific needs. Call today! Much like your signature, this massage will be unique to you. Your therapist will meet one-on-one with you to discuss each specific issue or symptom that is troubling you; then we will develop a personalized massage using the technique, or combination of techniques, that will best relieve each of your symptoms. Call 507.929.1400 to make an appointment! We have been providing exceptional massage services to our valued customers since 2001. Here at Premier Massage, we work diligently to protect our client's rights and privacy. Despite the best efforts we make or take, there are people or entities that may attempt to intercept the data you transmit to us. By filling out any forms on our site you understand that you are sending information over the internet and Premier Massage will keep this information confidential but cannot guarantee that others, outside of our practcie, may not illegally intercept this communication. As an alternative, you are always welcome to contact our office via telephone to schedule your appointment.